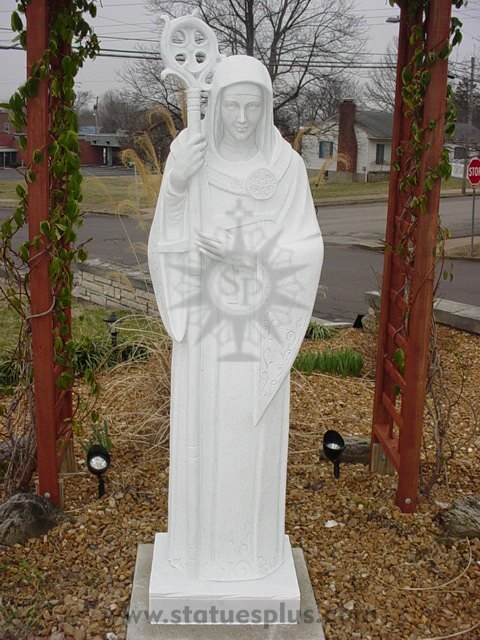 New marble statue of Saint Bridgit, standing with staff. Sample of custom-order, hand-carved Carrera marble statue. Please contact us for more information about our custom statues and stations of the cross.